Year-Round RV Park Living: Is It for You? 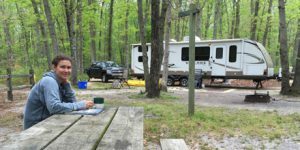 June 1, 2017 — Living in an RV full time isn’t for everyone, but it certainly has a number of distinct advantages. The keys are selecting the right RV and the right place to park it.